There’s a kind of revitalization brewing (pun intended) across the Rust Belt at the hands of the craft beer economy, and it’s proving to be a real winner for other new businesses and residents alike. The Rust Belt itself comes tied with powerful imagery: abandoned factories, steel mills, pollution-blackened skies and empty storefronts along jagged sidewalks all come to mind. But narratives change—those who have stuck around or returned are writing a new chapter with a combination of barley and hops. Buffalo, Cleveland, Pittsburgh and St. Louis are just a few Rust Belt cities with breweries that are bringing new life to their respective neighborhoods after decades of uncertainty, crime and population loss. Any perceived crime was a myth, because there was nothing left to steal. The only promise anyone saw in the neighborhood came from the producers of Kurt Russell’s Escape From New York. “They were looking for post-apocalyptic,” Kopman chuckles. The same can be said of Pittsburgh’s industrially zoned Homewood neighborhood where Scott Smith setup shop for East End Brewing Co.. Politely calling it a “dicey neighborhood,” Smith says the area was known more for being on the evening news than anything else. Broken bottles of “bad beer” littered the streets—a personal affront to the then-aspiring brewer. As word got out about some new, locally-produced beer in town, people suddenly started visiting these neighborhoods again. And the people continue to visit and drink in growing numbers. Now additional businesses are following suit, joining their respective breweries to open offices and residential lofts. The reaction is only getting stronger with new brewers continuing to join the movement, like Sam McNulty—owner of The Market Garden Brewery and Distillery in Cleveland’s Ohio City neighborhood. 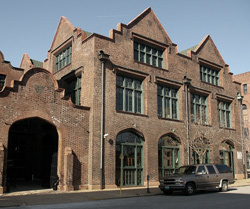 McNulty’s brewery is following in the steps of Cleveland-staple Great Lakes Brewing Co. Like the breweries in Buffalo, Pittsburgh and St. Louis, Great Lakes joined the Ohio City landscape when property values were low with non-existent demand. Now after 25 years, Great Lakes is serving 13 states nationwide from the same location in the now-thriving Ohio City neighborhood. 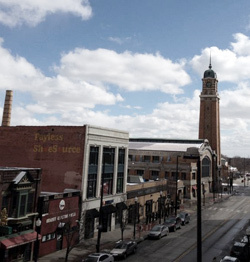 McNulty sees brewery-based neighborhood revitalization as a perfect fit with Rust Belt history. 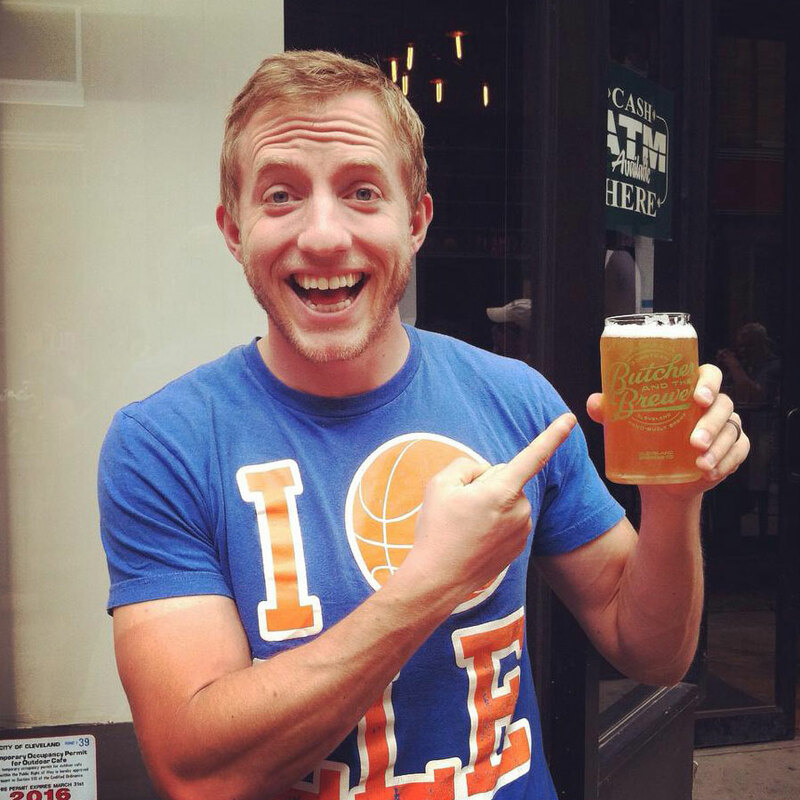 “Brewpubs and breweries are essentially light manufacturers,” he explains. “There’s a certain romance to it. The same way people like milling with their chef or farmer, people really appreciate milling their brewer, knowing the bar they’re sitting at is a short distance away from where the beer was brewed.” The pride McNulty hints at in drinking locally-made beer is prevalent throughout the Rust Belt. 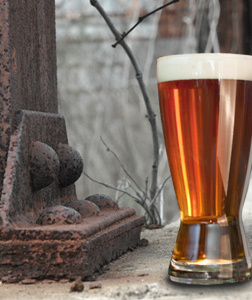 Nobody believes breweries are the answer to all of the Rust Belt’s woes. Unemployment, lousy housing market, and bitter race relations dating back to pre-suburban sprawl are just a few of the intricate problems facing these post-industrial communities. But breweries, a trend themselves, seem to have sparked another growing trend of young professionals and empty nesters moving back to the urban core of these cities.